I love discovering new quilting tools and you can never have too many...never. My newest discovery is the Lil' Twister rulers. 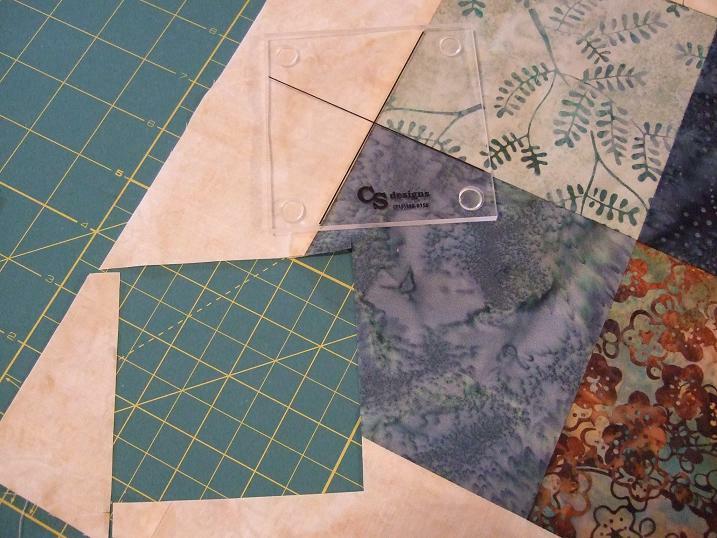 I bought the set of rulers and book for the guild and thought I would be a good president and test them out to make sure they are as good as they look :) I am happy to report they are fantastic and can be use to create either a tesselation quilt or a four patch pinwheel quilt. I thought I would try making the four patch pinwheel table runner first. 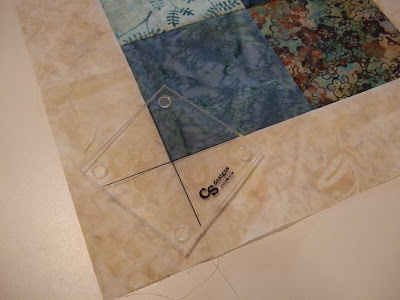 The rulers come in two sizes, one is used with Charm Square and the other is used with Layer Cakes. 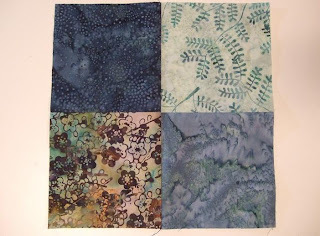 I dug into my dwindling stash (it's really getting pathetic, I'm a disgrace to quilters everywhere) and found four batiks that I could cut into four 5" squares. Then I sewed them into a four patch. Next I added a 3" border/background fabric with a high contrast. Now to the fun part.....cutting. 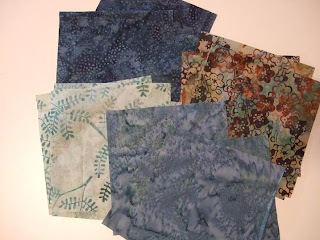 Do you see a theme with my quilting choices lately? 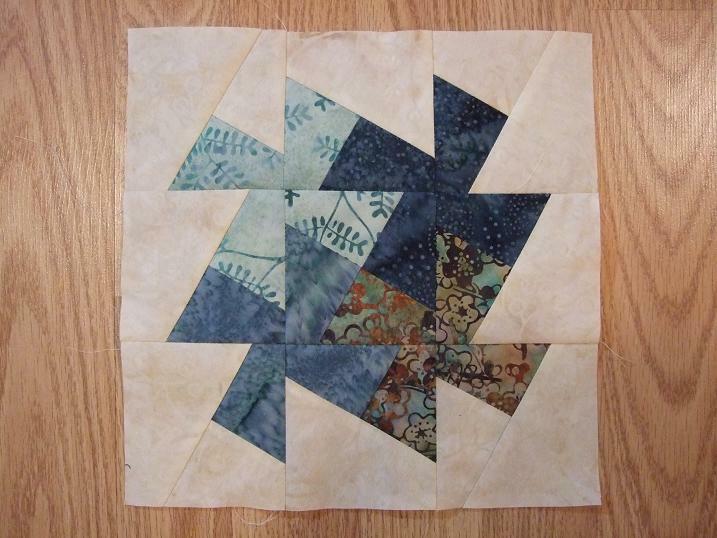 You lay the lines on the Lil' Twister ruler on the seam lines and cut out the nine squares. 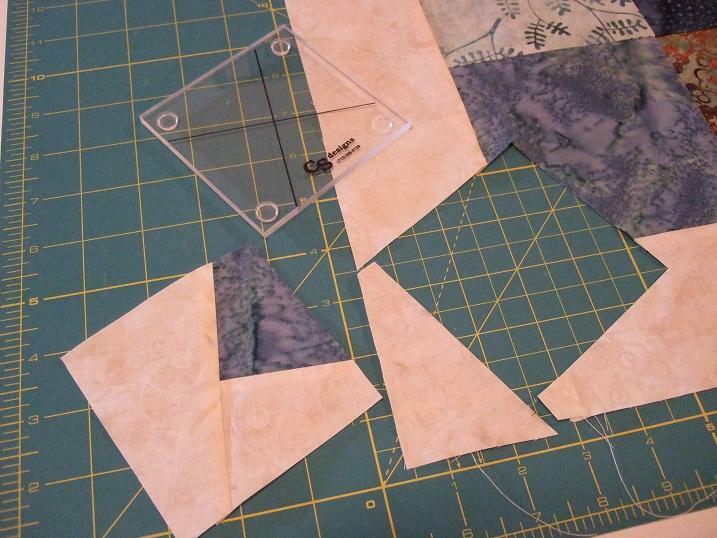 Keep cutting until your four patch looks like this. The ruler is designed very well and has raise grippy feet so it doesn't move at all. 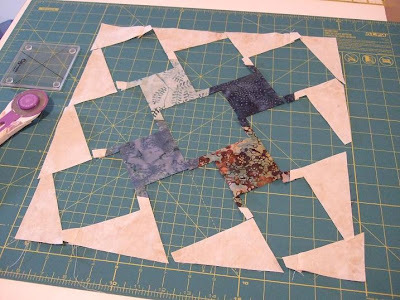 Now sew the 9 squares together, making sure they are in the same order as in the four patch and you'll get this pinwheel block. You may be thinking there is a lot of waste but actually there isn't. 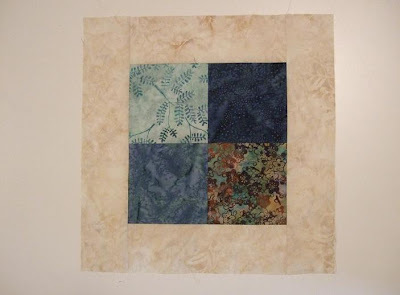 If you used any other method to create this block I think you would use more fabric. 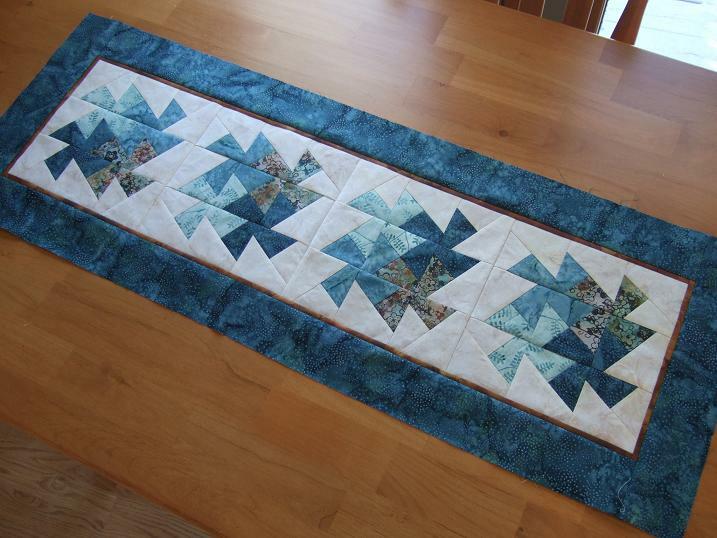 Here is my finished table runner....well almost finished, I still need to quilt it and have no idea what I'm going to do ( ...hey I just made it today afterall). Tomorrow I'm putting new wheels on my longarm as the original wheels have been giving me some grief, looks like I have worn them out. Imagine that :) So I'm looking forward to a smooth gliding machine again. I hope this little demo peaks the interest of the local guild members as we will be having an afternoon workshop in April on how to make a twin size quilt using the Twister ruler. 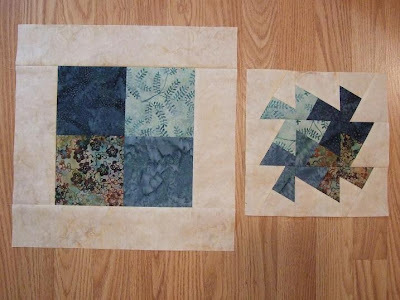 That will be a different method using the larger ruler and that is all I'm saying! Will offering to share my stash give me an edge? Very nice..I love the touch of red in this runner. 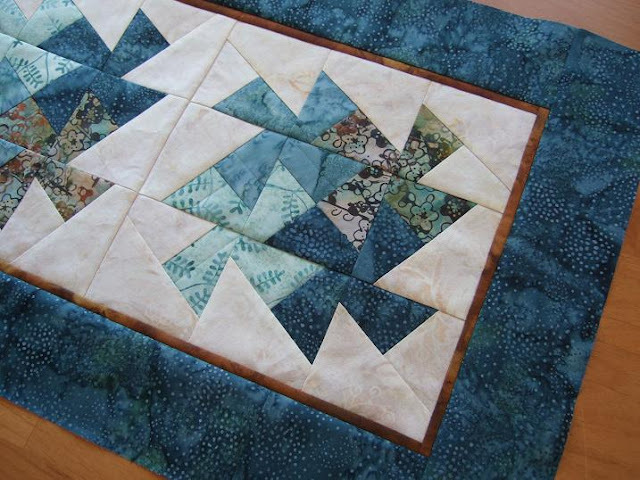 I am anxious to see how you quilt this. On closer inspection it looks more rust!!! Спасибо огромное за то, что показали такой замечательный и быстрый способ кроя! Sorry: thanks, thanks, thanks!!. Uffff. Beautiful and nice new tool :)! Your runner is beautiful, I love the fabrics you used. I've had the Lil Twister ruler for months and haven't tried it yet, but your runner makes me want to make one now. Thank-you. How Can this be done without the Little Twister ruler?